Back in August I went to a Viognier and Syrah tasting at Unwined in Alexandria. Matt was out of town and I was looking for something to do! Of course, I couldn’t leave without buying something, because, well, I have a problem. A wine collecting problem. I don’t mean to hoard wine, but I do! 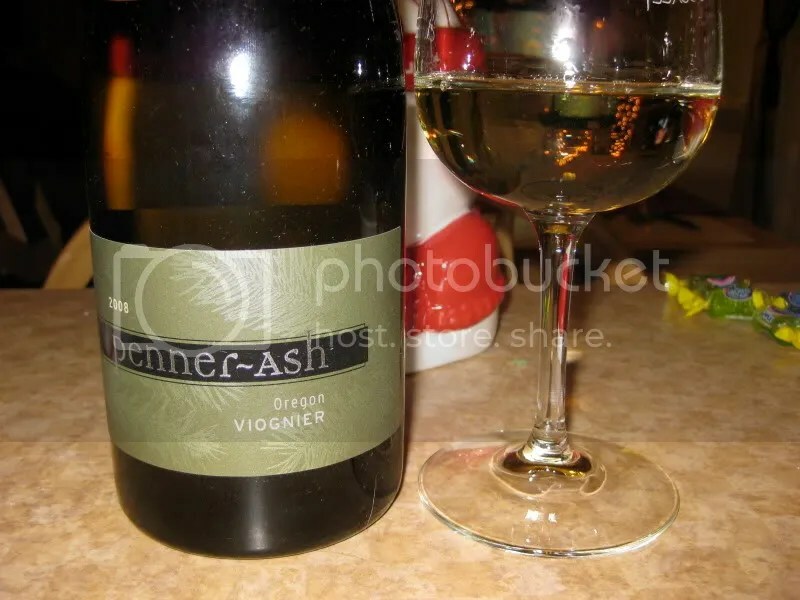 So I purchased this bottle of 2008 Penner Ash Viognier from Oregon, it was my favorite of the tasting. It clocked in at 14.5% alcohol by volume, cost me $32.95, and had a screw cap closure. On the nose I found pineapple, tropical notes, flowers, white peach, white pepper, honeysuckle, pear, and vanilla. In the mouth I got pear, white peach, honey, pineapple, and tropical notes. The Viognier had an slightly oily mouthfeel, which I love in a Viognier, with a crisp finish. One of my favorite Viogniers this year! I love Viognier from the Pacific Northwest. 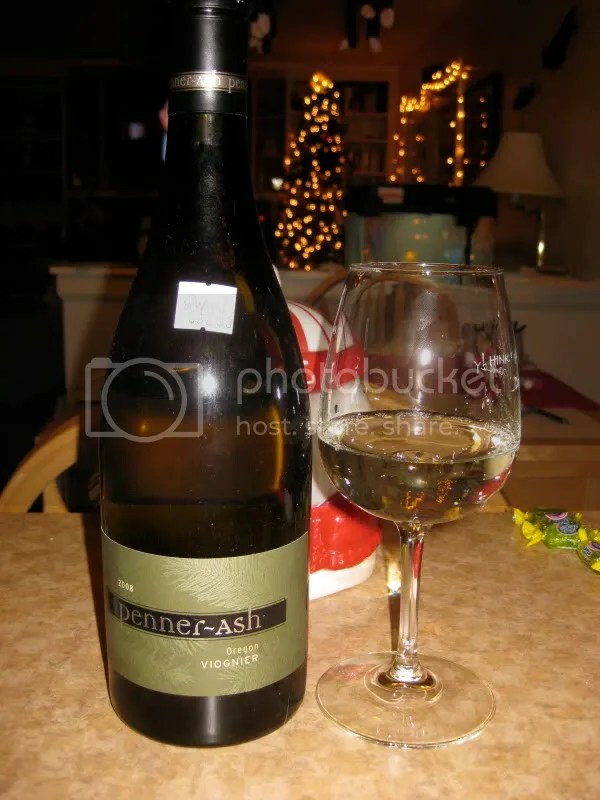 My favorite experience with Viognier comes from several years ago when enjoying a glass of Kestral’s offering. On the nose I smelled Froot Loops cereal. I’m not kidding. It was dead on Froot Loops. The wine was wonderful. I told the waitress (who was training to be a wine steward) about the aroma, and she looked at me like I was a little off my rocker. A few weeks later, I’m listening to Grape Radio with Matt Garretson, and he’s talking about how he judges his Viognier. If he can smell Froot Loops cereal, he knows he’s got it. I almost drove off the road laughing.